Oven Baked Sweet Potato Fries that are crispy, easy and the perfect healthy side dish to your summer BBQ recipe. 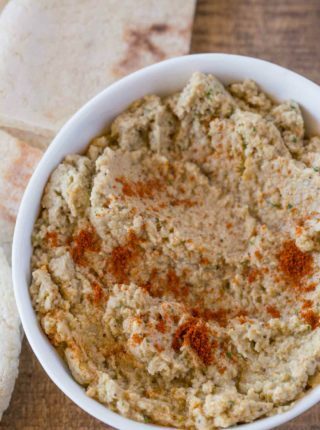 The perfect summer recipe for all your favorite bbq foods like Greek Turkey Burgers, Creamy Cilantro Lime Slaw and Skinny Deviled Egg Potato Salad. It’s rapidly turning to summer weather and we’ve already started firing up the grill. With grilling comes the never ending question of side dishes you can serve with your food and when I’ve got a good burger the last thing I’m usually looking for is some Roasted Vegetables no matter how delicious they are. I want a juicy burger and some crispy fries. Now, in fairness to summer it all about textures. With a juicy soft burger you naturally reach for a crispy side dish. Enter the oven baked sweet potato fries. These are one of my absolute favorite side dishes (ps my favorite is coming soon, Carrot fries – they are just a bit more high maintenance because crisping up a carrot is much harder than a sweet potato). 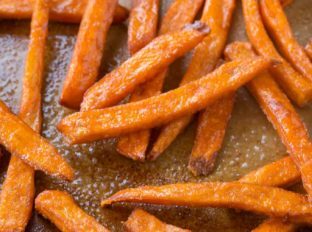 Let’s make sure we are on the same page with how you can actually get a sweet potato fry to stay crispy. Cornstarch! 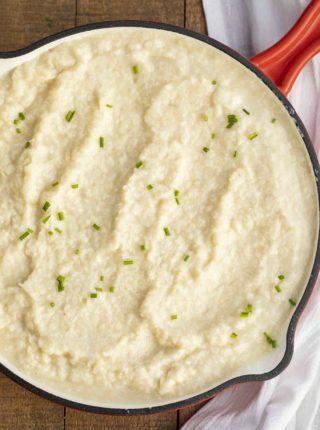 It’s like how people used to powder babies to stay dry, the cornstarch is going to soak up that excess liquid the sweet potatoes release when cooking. Keeping a good distance from each other. 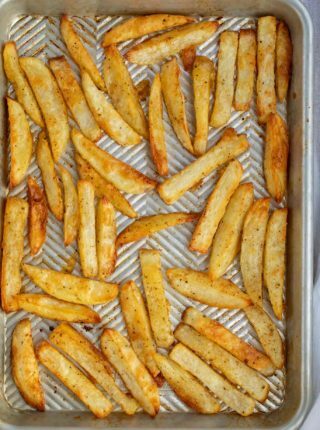 The fries can’t be touching while roasting or they’re going to steam instead of crisp. Keep the seasonings off the potatoes until you’re done roasting. Spices and salts are notorious for drawing more liquid out of foods and we’re trying to keep a moist center while letting the cornstarch keep the outsides crispy. A hot oven, we’re roasting at 400 degrees when I normally roast vegetables at 375 degrees. These fries are thin, we need quick extra hot roasting to crisp up the outside before killing the moisture inside. 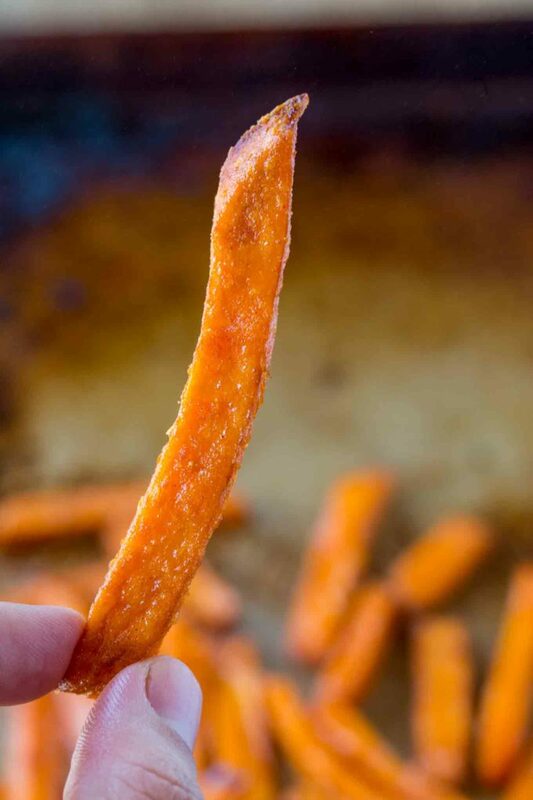 Prepare the sweet potato fries the same way with the cornstarch and canola oil then add in a single layer to your fryer basket at 400 degrees for 7-9 minutes. Halfway through cooking turn the fries over. Make sure you work in batches in the air fryer as the basket is going to be considerably smaller than a cookie sheet. Why soak your potatoes for french fries? Potatoes, both white and sweet have starch in them that is released during a soak in water. Some restaurants prefer a double fry to get a crispy exterior, but I find that if you soak the potatoes well a single cooking will provide crispy potatoes. Soak the cut sweet potatoes in cold water for an hour (I do overnight). Dry the sweet potatoes well with paper towels then add to a ziploc bag with cornstarch. Toss the potatoes with the cornstarch really well, then add in the canola oil and make sure its all coated. Add them in a single, non touching, layer to your cookie sheet and roast for 15 minutes. Flip the potatoes then spray the sweet potatoes with 1 second of canola oil spray. Roast for an additional 15 minutes before serving. Garnish with salt just before serving. Love sweet potato fries! Can’t wait to try these! 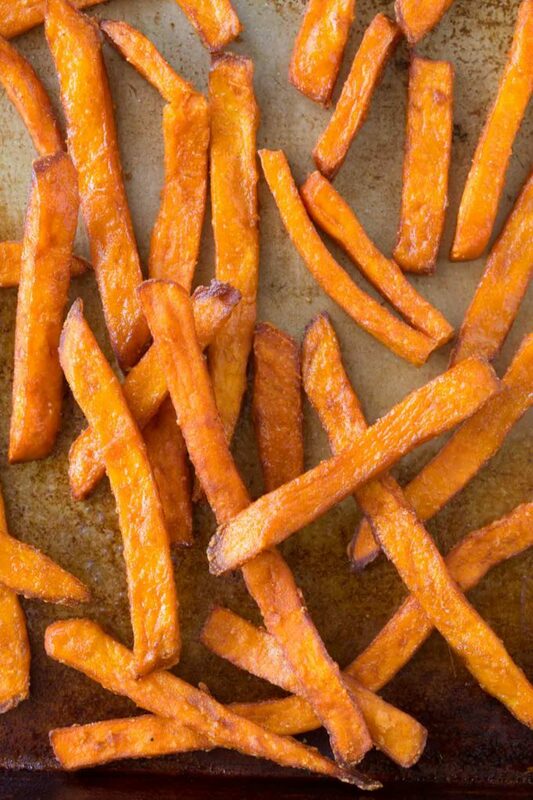 Sweet potato fries are SUCH a weakness for me – love this healthier version! 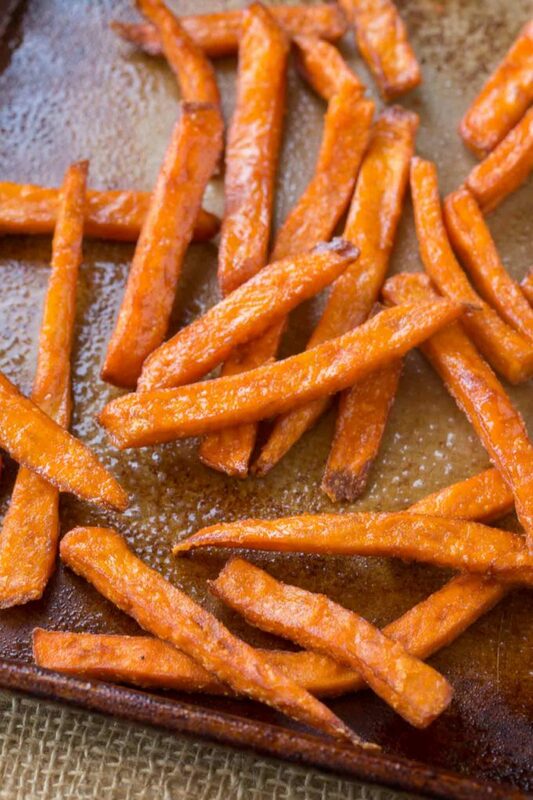 Sweet potato fries are my all time favorite fry! Is it bad I want to make a meal of this? Yum! I love sweet potato! This will be a sure hit in my house! Are these 4 freestyle points or 3 points per 3oz. serving? My mistake, it was 4! Thanks for pointing this out! First off, props for the serious knife skills you have to have cut such uniform fries. 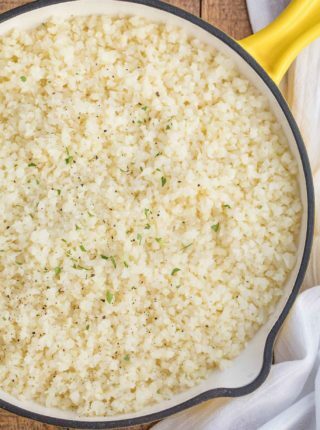 This is a delicious looking recipe. Thanks, Michelle! It’s not too hard, I don’t think you’ll have too much trouble! These are great tips! 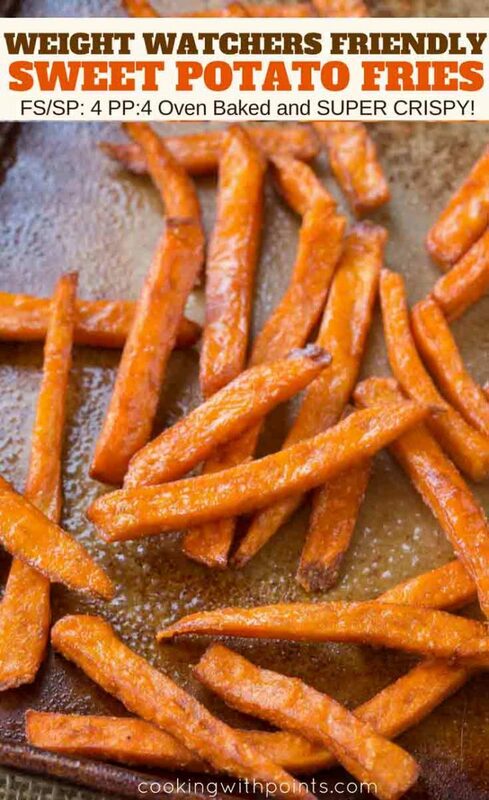 I LOVE sweet potato fries, too, so I’m going to have to try your methods!